You know, Jonathan does resemble a young Houdini quite a bit. He and Harvey Keitel as the older version of Houdini nail it fairly close. As far as I know we are currently the only place in the world to see these Mirror Challenge Cuffs on a regular basis. We have the Ian Cuffs pretty much as shown, plus key in the picture. It has the shorter key with a a double locking Bramah style mechanism. We also have the Chris Bower Yale set as well. We also have the beautiful Mirror Cuff key made by Mick Hanzlik. We have several of Ian's other most famous Houdini cuffs on display. We have the Houdini French Letter Lock Combination Handcuffs, The Russian Manacle, and "The Séance cuffs". If anyone remembers the original or actual name for "The Séance cuffs" let us know as it has skipped our minds and do not have time to research this again. They are all beautiful and stunning. We do not have is the Houdini Bell Handcuff and do not know if one is available. We are very proud to be able to show these to our visitors and to be able to recount some of their stories along with displaying them. 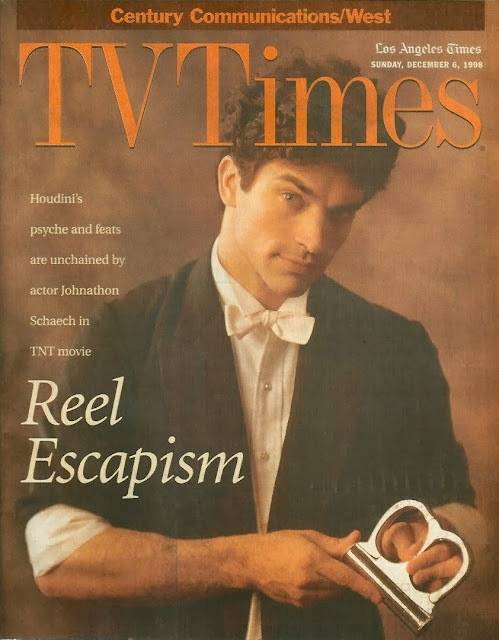 There are also photos of Schaech in Ian's Russian Manacle replica. I didn't know you had these on display. That's cool. I used to play with the real mirror handcuffs.when my grandparents own them,they sold them in 1972.